Search for Middletown homes for sale . Call 732-616-6226 to see the homes for sale. The Middletown homesfor sale are for the most part single family homes. However, there are a number of condo complexes in town. There are more homes in the two active adult communities. Homes range in price from the starter home level to well over $1 Million. Additionally, many condo complexes are in Middletown. Along Route 35 you can find almost any kind of shopping you need. Numerous restaurants are in the immediate area, as well as parks and recreation programs. Sandy Hook, with it’s beautiful beaches are also in Middletown. Nearby is Red Bank with it’s exciting nightlife which includes the Count Basie Theater and the Two Rivers Theater. 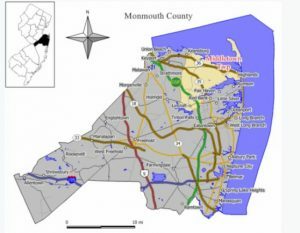 According to the 2010 Census, Middletown had 65,522 people, which was the highest population in Monmouth County. There were 23,962 households in town, also, the median household income was $96,190. For commuters to New York, there are multiple choices to get there. New Jersey Transit’s North Jersey Coast Line has a train station in Middletown. There is also bus service and the Sea Streak Ferry. In 2006, 2008, and 2010, and 2014, Middletown was ranked in the Top 100 Best Places to Live by CNNMoney.com. Naval Weapons Station Earle is located in the Leonardo section of town. There are over 10,000 students in the 17 public schools in Middletown. Of those schools, there are twelve K-5 schools and three middle schools (6-8). WHen students continue into high school, they will attend one of the two high schools. Students from Middletown homes can also attend one of the private high schools, Christian Brothers Academy and Mater Dei High School. Also, there are three private grammar schools in Middletown which are Saint Mary, Saint Leo the Great and Oak Hill Academy. Students who are in high school also have the option of attending one of the seven magnet schools in the Monmouth County Vocational School District. Specialized courses are available in fields such as computer science, and biotechnology. Also courses in the medical and science fields are available, among others. Brookdale Community College is located in the Lincroft section of Middletown. If you want to see the Middletown homes for sale, call 732-616-6226.